udah lari2 ala amazing race, tapi masih tetep ketinggalan kereta ternyata! haha! ya sudahlah! I don't think this is anything. Is this anything more than what we already have? Amazing Race US lagi ke Indo. Pit Stopnya di Kraton Jogja n Candi Prambanan. Pesertanya start dari Gambir Jakarta. Amazing Race U.S. again to the Indo. Pit Stopnya in Kraton Jogja n Prambanan Temple. Participants start from Gambir Jakarta. Looks like old news to me. Mau warna apa aja ada "@tapesingkong: Waah.. RT renyagustia: Amazing Race from Nusa Dua to Ubud with 50 VW Safari. Grrreat fun!" It doesn't make sense why they would be there now but Nusa Dua is a beach resort on Bali. That tweet seems to be timed close to the landing. Team amazing race lg di jakarta, trying to catch flight to next destination, kl ga salah td nguping, ke bangkok... Saw 2 all male teams! "Wow, there's a TAR shooting at Adisutjipto Airport hahahaa"
"TAR team(s) is(are) currently in Jakarta, trying to catch flight to next destination, if i'm not wrong i heard it's Bangkok... Saw 2 all male teams!" Isn't adjisupto airport in Jogja? Yep, adisutjipto is in Jogja. That means several teams already left earlier and now in Jakarta, while others are still in Jogja. RT @elsiany:Baca TLnya @sitanursanti, Amazing Race US lagi ke Indo.Pit Stopnya di Kraton Jogja n Candi Prambanan.Start dari Gambir Jakarta. Translate: Amazing Race US is in Indonesia. The Pit-Stops are in Kraton and Prambanan Temple. Nah, nothing to do with TAR US. CAN SOMEONE WHO CAN READ INDONESIAN PLEASE WATCH FOR FLIGHT DESTINATIONS MENTIONED AND PUT THEM HERE?? THANKS!! Don't know about the other 3/4 teams.. Translate: The best reality show in the world finally goes to Indonesia. 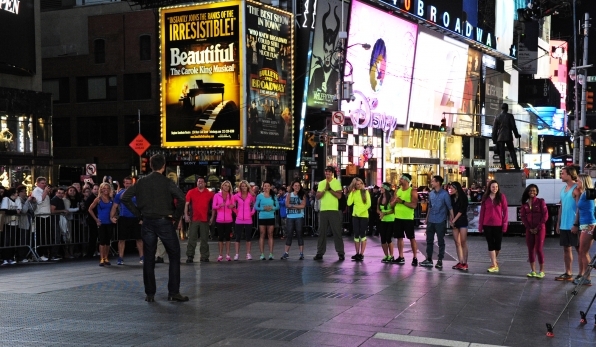 The Amazing Race US will be going to Jakarta, Yogyakarta, and Magelang. Magelang is located 43 km north of Yogyakarta, and it's the closest major town to Borobudur Temple. Just got off a flight from Bangkok to Phuket. The guy next to my girfriend Kaisri had some kickin BO. After we landed I realized why he choose not to shower. He was part of the filming Crew for the amazing race. One of the teams were two seats in front of us. I dont watch the show but I will to see which team it was.